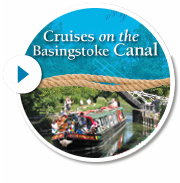 The Society was extremely disappointed to receive the recent announcement by Surrey and Hampshire County Councils to the effect that the proposed transfer of the Basingstoke Canal to the Canal & River Trust was not considered to be viable at the present time. In the opinion of the Society, the transfer would offer the most attractive option to secure the long-term future of the canal by integrating it more fully into the national waterways network. The Society has supported the canal, both financially and in terms of volunteer effort, for over 50 years and it is fully committed to continue that support and to play a very active role in the Canal Partnership. In view of the recent decision by the County Councils, the Society believes that all the members of the partnership, including the District Councils and the special interest groups, should renew their undertakings to work with the County Councils in promoting the benefits of the canal and in supporting initiatives which will increase its income. I would like to update you on recent developments regarding the potential transfer of the Basingstoke Canal away from the ownership of Surrey and Hampshire County Councils. During early October Senior Officers of Hampshire and Surrey County Council met with Canal and River Trust (the Trust) – it was agreed that a transfer of the Basingstoke Canal assets was not viable at this time. We have agreed the canal operating and maintenance costs with the Trust, however neither landowning authority are in a position to raise the capital sums or take forward any of the alternative funding options offered by the Trust, to create the sustainable income for the canal necessary to facilitate the transfer. The Trust has undertaken some work to assist in understanding the risks associated with owning and operating the canal. Our view is, based on initial feedback, that the risks are perhaps lower than our previous perception. This also weakens the case for transfer. Officers agreed that there would continue to be cordial relations with the Trust, and will continue to tentatively explore alternative options with them, however, there are no immediate solutions that would be mutually beneficial to all parties. The Trust has confirmed that it is willing to explore other ownership and maintenance options that the councils wish to propose. If you have any questions, please do get in touch with either myself, James Taylor or Richard Plummer.